Gene Allen�s Gifts is located just a few blocks from Dallas Cowboys AT&T Stadium & Texas Rangers Globe Life Park! 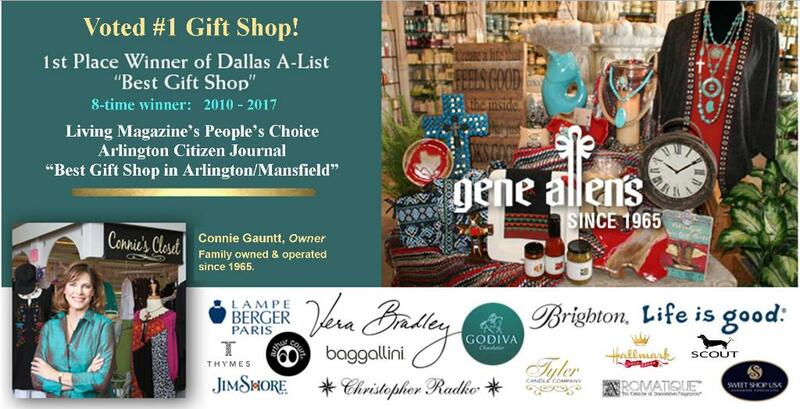 Winner of �Best Gift Shop in DFW� on the Dallas A-List every year since 2010, you�ll find special gifts and cards for everyone at our beautifully merchandised store that�s over 10,000 sq. feet. You'll be amazed at our extensive selection of gifts and your favorite lines that we carry like: Yeti, Mudpie, S'well, Vera Bradley, Brighton, Nora Fleming, Baggalini, Scout, Noelle, Pali Sandals, Yellowbox Shoes, Life Is Good, My Saint, Natural Life, Magnolia Home Candles, Aromatique, Tyler Candles, Voluspa, Sweet Shop, Godiva, Snowbabies, Precious Moments, Radko, Jim Shore, Willowtree, Arthur Court, Thymes, Capri Blue, Trapp, Inis Fragrance, Lampe Berger and more! And stop by our old-fashioned candy counter for a sample of our homemade fudge, we make it fresh each week! Discover Arlington's #1 Gift Store since 1965 and your ONE-STOP-SHOP for the ultimate shopping experience! Visit our other 2 locations in south Arlington and now in Grapevine too! COMPLIMENTARY Gift Wrap is available too for purchases over $10! Click Here to View Special In-Store Events, Sales and Promotions! 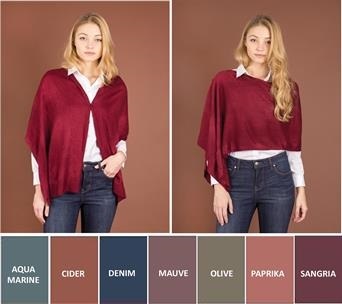 Bordeaux Tuscan Inspired Sweater Wraps - NEW Colors! This light weight knit wrap is perfect for when you get a little chilly - dinner out,at church,on the plane and for the cooler nights of fall and winter. Embellished with tiny buttons allowing for versatility and can be worn 4 different ways! Take it everywhere with you - it's the perfect weight for airplanes, restaurants, theaters, etc. Available in many beautiful colors - makes the perfect gift that anyone would love or treat yourself! This "Texas Box of Love" is full of our favorite gifts to send to someone that is missing the Lone Star State or as a gift to an out of state client or friend! 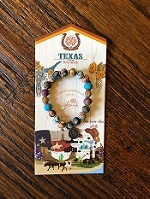 Our custom built box, ONLY $39.99, is filled with over $50 in hand picked Texas themed products! Flat rate shipping only $8 to anywhere in USA! Need a gift to lift a special friend or family member's spirits or express your deepest condolences? 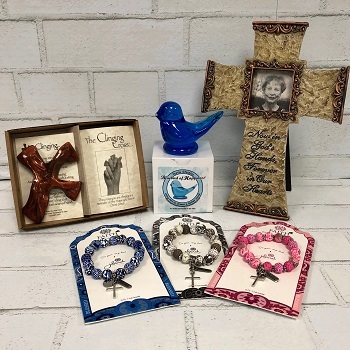 Check out this list of thoughtful gifts including The Clinging Cross, Bluebird of Happiness, our handmade clay Faith Bracelets and our Memorial Cross frame. 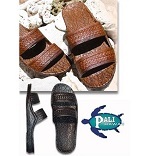 They are some of our most popular gifts at Gene Allen's Gifts. Show how much you care with these sentimental keepsakes and gifts that offer comfort, hope and remembrance. 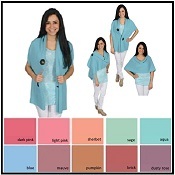 This elegant yet cozy lightweight cardigan sweater wrap is perfect as an extra layer when you need an extra stylish layer for both casual or dressy apparel. Wrap and go with this over-sized wrap, it's larger than our regular Bordeaux wraps and doesn't have the button trim making it a dressier wrap option. 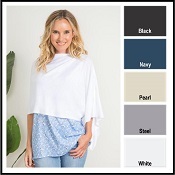 Dress it up with your little black dress or dress it down with your favorite blue jeans and t-shirt, you'll make a fashion statement with this stylish "over the top" layer! 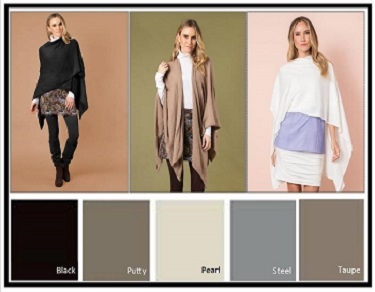 Available in several great neutral colors to go with everything in your closet! Homemade Chocolate Fudge - in the shape of Texas!